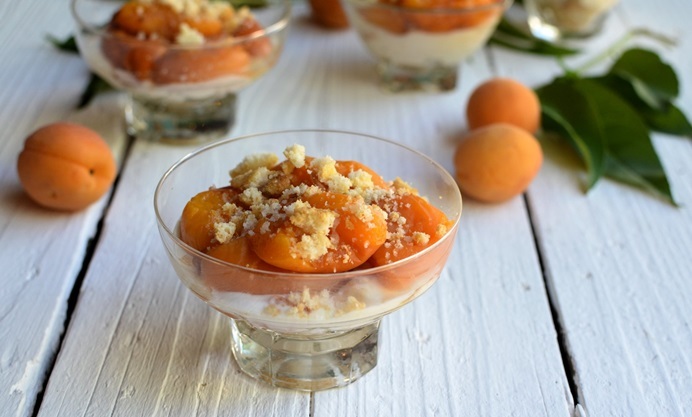 Who doesn’t love the pairing of apricots and almonds? There is something about the flavours that enhance each other and they are often used together in cooking and baking. Karen has devised a beautifully light and refreshing way of using them in the form of a layered fool. I am in SW France right now, where the daily temperature is always in excess of 35 degrees centigrade, I am not that keen on being in the kitchen baking when I could be outside sunning myself or doing some light gardening. 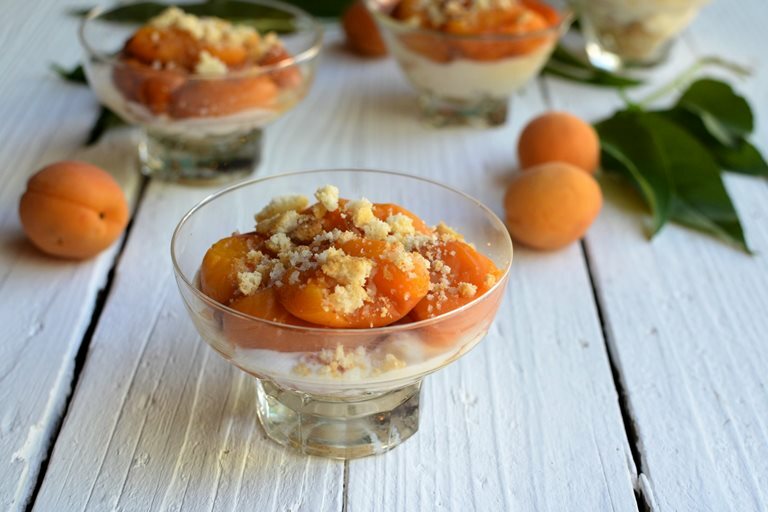 So, I have devised a simple almond and apricot recipe that fits in with my current lifestyle, as well as being light and refreshing. The recipe is shared below, and I recommend these simple creamy pots for all summer occasions, such as picnics and barbecues; they can be served in any container, such as little jam jars, teacups and saucers, as well as in little (antique) glass basins as I served mine. They are easy to make and can be popped in the fridge until they are ready to be served, giving you more time to have a glass of wine and enjoy the party! 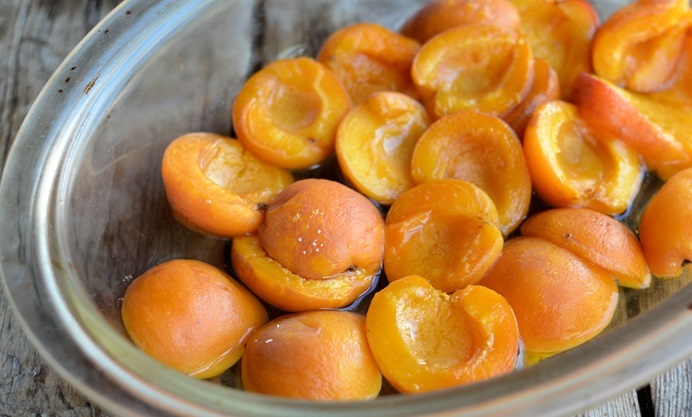 I hope you enjoy them as much as we did when I last served them, and don’t forget the apricots can be oven roasted the day before for ease of preparation on the big day or night.